Do You Have An “Ugly” House In Tucson Arizona You Need To Sell? 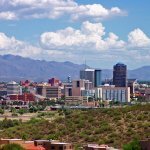 We Buy Houses Anywhere In Tucson And Other Parts of AZ, And At Any Price. Check Out How Our Process Works. We’re Ready To Give You A Fair Offer For Your House Today. We buy all sorts of houses in Tucson, AZ for cash… we especially like ugly fix-up homes that require repairs. We will buy your ugly house. Call us today! What makes an ugly Tucson house? House in need of a new roof. Renters moved out and trashed the home… now that can make for an ugly house! House is outdated and still has the 70’s green shag carpet. House has been a place to stockpile junk. The yard is a mess and full of weeds. The pool is empty… plaster and decking are cracking. Inside walls have holes in the drywall. AC is out and the house needs a new HVAC. Animals have peed all over the floor and home smells of pet urine. This list goes on-and-on as to what makes for an ugly house. Do you have an ugly Tucson home you want to sell? We have seen it all. There is NO house that is too ugly for us to buy. We buy ugly houses in Tucson Arizona.